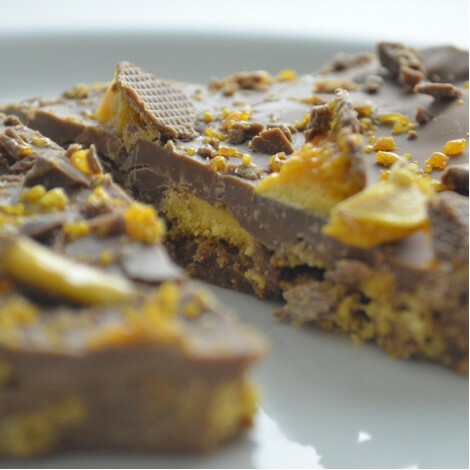 Crunchking Honeycombe. If you like our teaser malt, you'll love this! A crunchy, honeycomb delight! contains Belgian Chocolate, Biscuit, Golden Syrup, Honeycombe, Vegetable Fat. Store in an airtight container in the refridgerator. Use within 7 days of purchase. Can be frozen. Ingredients: Belgian milk chocolate (milk) butter (milk) golden syrup,gf biscuits (may contain soya) honeycombe.